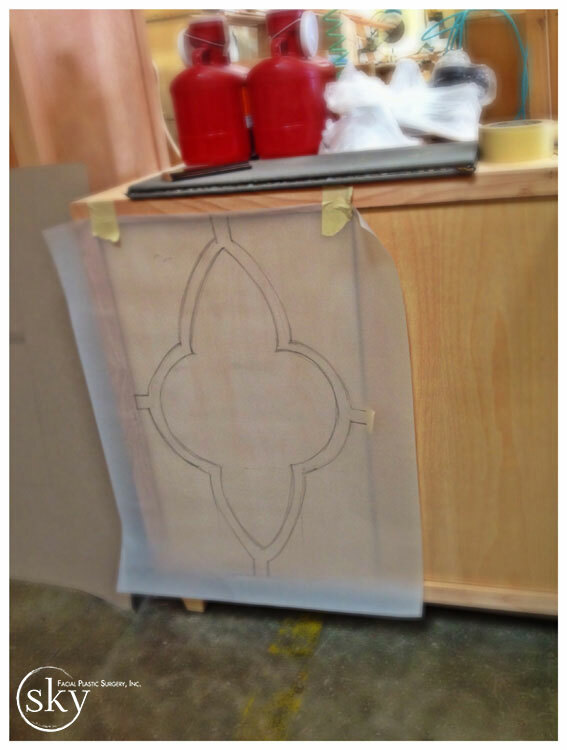 First, we looked at the progress on the credenzas that will be in the consultation rooms. 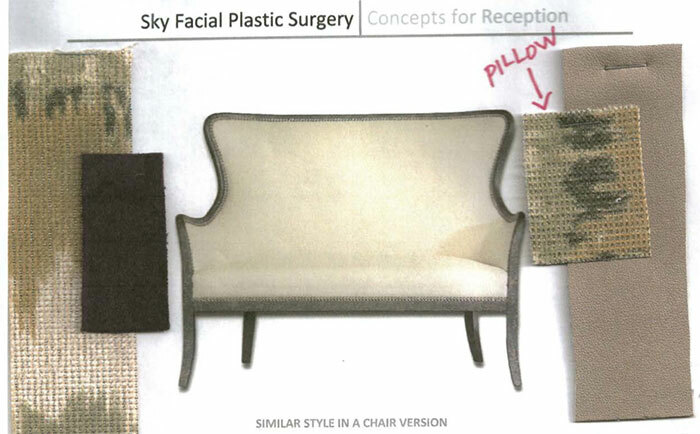 Here is a photo of the concept, drawn by Kelly, compared with the actual product in construction. By looking at the frames, we were able to catch a mistake. The settees for the consultation rooms were too deep. They are designed to fit perfectly into a corner alcove, and therefore the measurements need to be followed precisely. The millworkers will correct the mistake. This is why visiting the shop is so important! 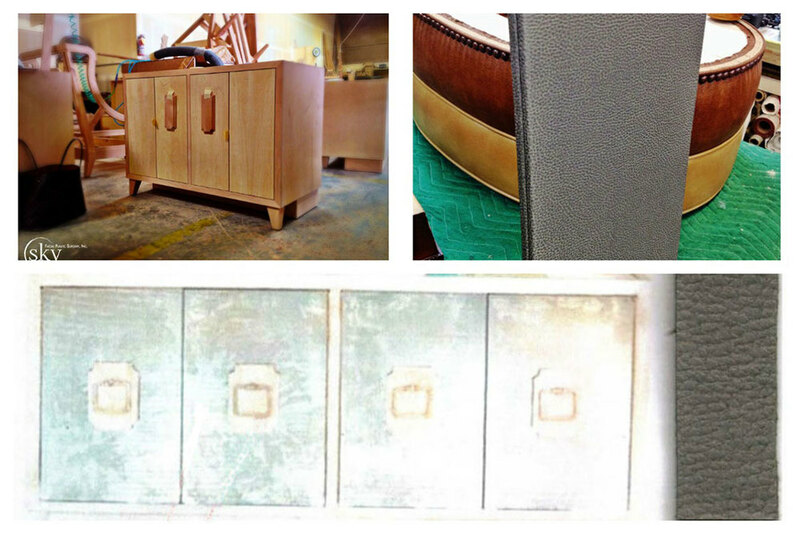 The top right photo is a sample of what the doors will look like, wrapped in leather. Then a stained wood piece with the handle will overlay each door. 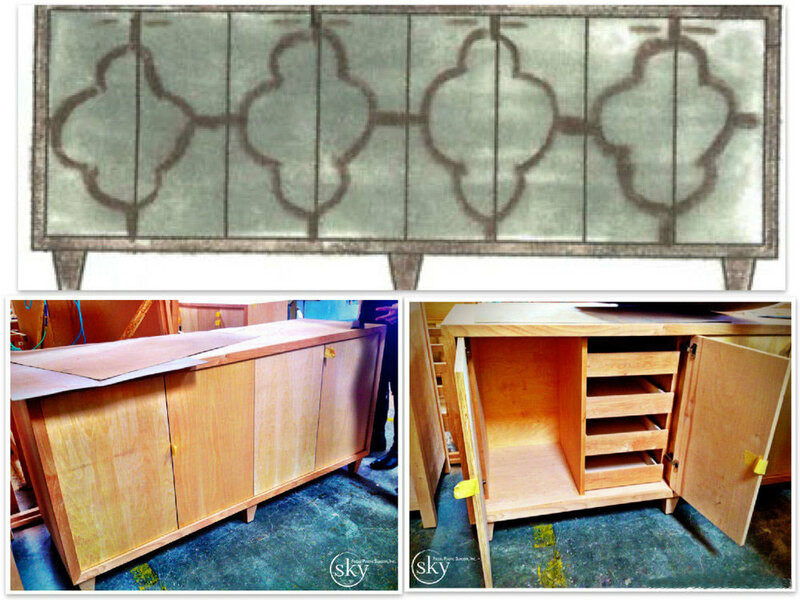 The top left photo shows the wood piece ... we decided to make them a little larger than what is shown here. 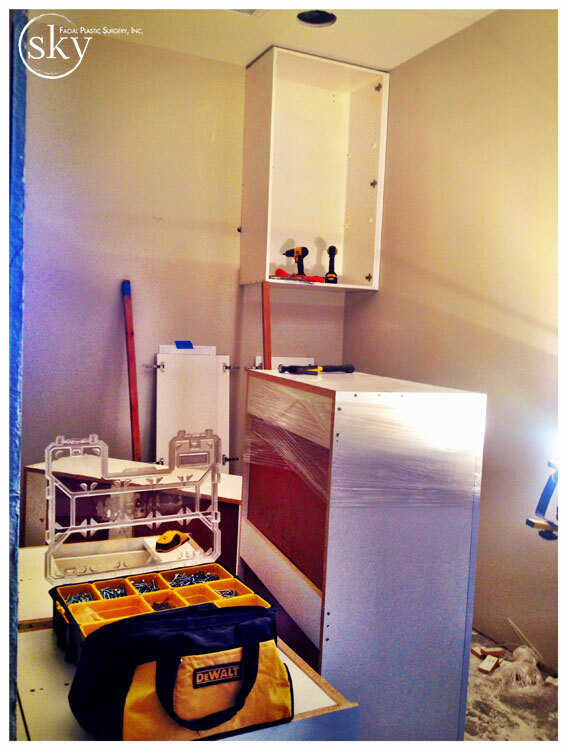 Read the next post in this series - "Day 64 - Crown Molding"
Day 58 - Cabinetry arrives!